Our caravans are equipped with awning, table and chairs, refrigerator, kitchen stove top, kitchen and tableware, blankets and pillows. The customer brings his own sheets and pillow covers. No running water and no toilet. 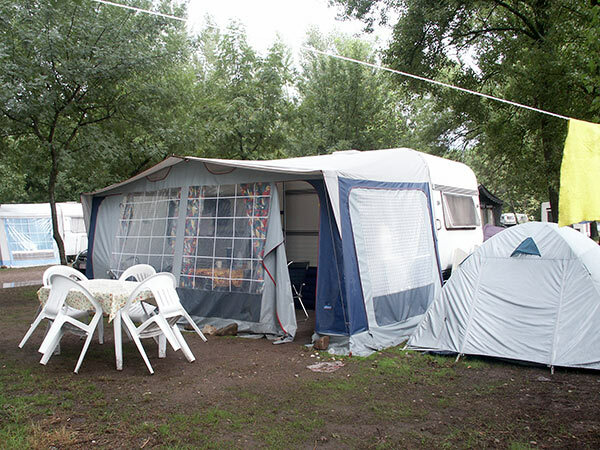 It is possible to install a small tent next to the caravan.